West River Karate began in 2006 with the dreams and aspiration of Sensei Kenny Lim to share the Hayashi Ryu Karate-Do system of karate. A proven champion at a young age, Sensei Lim teaches the hard work ethic, respect and perseverance needed to advance in both karate and in life. 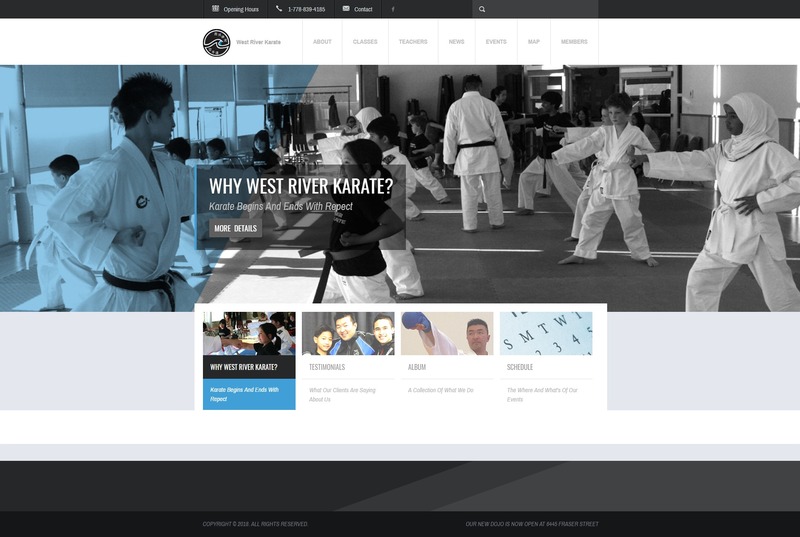 West River Karate is located in the heart of Vancouver, British Columbia, and we have been a big part of the community for children and teenagers of all ages. They wanted to showcase their classes, teachers and events. They also wanted a members only forum where students and parents could keep in touch and interact with each other.